From various leaks so far, we already know that Samsung is gearing up to launch the Galaxy Tab S4 and the Galaxy Tab A 10.1 (2018) very soon. While we don’t have the official confirmation, some reports say these tablets might make an appearance at the IFA 2018 in Berlin, scheduled from August 31 to September 5. Apart from launching new tablets, it appears Samsung is also working to bring a 4G variant of the Galaxy Tab A (2017) to various carriers in the US. Currently, Samsung is selling only the Wi-Fi version of this tablet in the US under the model number SM-T380, while offering the 4G-capable SM-T385 model in many other markets. 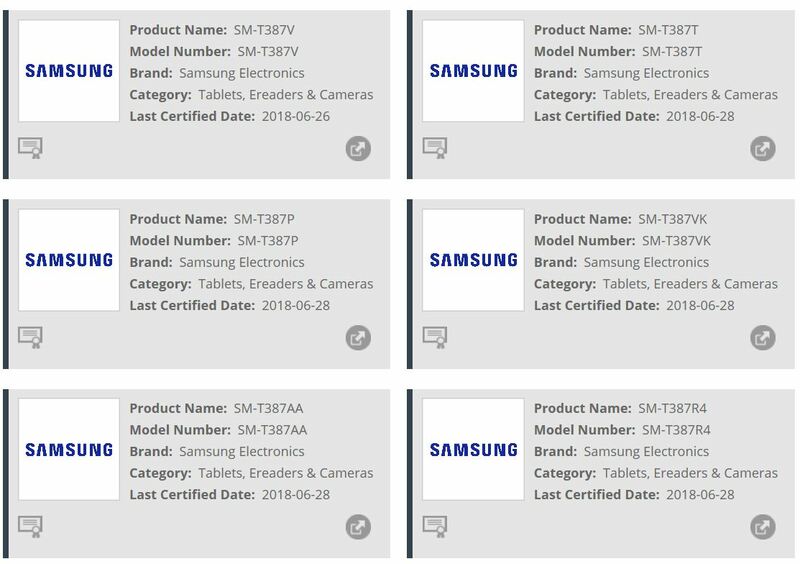 The new-launch information comes from the Wi-Fi Alliance website, which has recently certified Samsung tablets with model numbers SM-T387V, SM-T387T, SM-T387P, SM-T387AA, SM-T387VK, and SM-T387R4. Based on the previous model numbers, we can deduce these are the US carrier-bound 4G variants of the already available Galaxy Tab A (2017) from last year. When launched, the SM-T387AA should be available on AT&T, SM-T387V on Verizon, SM-T387T on T-Mobile, SM-T387P on Sprint, and the SM-T387R4 on US Cellular. We are not sure what carrier will get the SM-T387VK variant. It is unclear if the upcoming 4G version will be an upgraded model over the current Wi-Fi variant in the US. 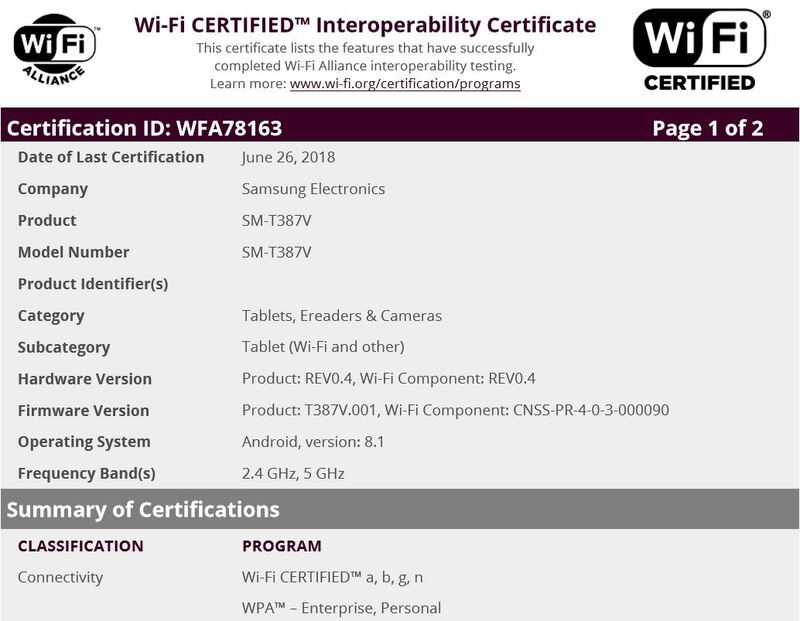 The Wi-Fi certifications say that these tablets will run Android 8.1 Oreo of the box, which is an upgrade over Android 7.1 Nougat on the current model. We have to wait and see if Samsung will upgrade other aspects of the tablet as well. The Galaxy Tab A (2017) is a budget tablet with an uninspiring spec sheet. It comes with an 8-inch 1200×800 display, 8-megapixel rear camera, 5-megapixel front camera, Snapdragon 425 chipset, 2 GB of RAM, 16 GB inbuilt memory (32 GB in the US), and a 5,000 mAh battery.